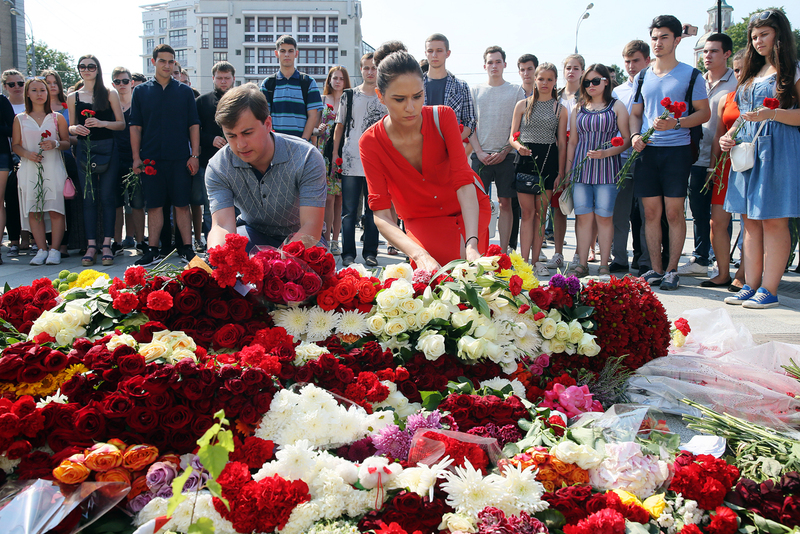 People lay flowers at the French Embassy in Moscow commemorating the victims of the 2016 terrorist attack in the French resort city of Nice. On July 14, 2016, a truck ploughed into a crowd of people celebrating Bastille Day on the Promenade des Anglais. 84 people were killed in the attack.